Get your logo printed - Mardi Gras Jubilee Pens cheap logo pens. Apps include cheap promotional items, trade show pens & more. No Extra Charge, 1000 unit maximum for rush production. 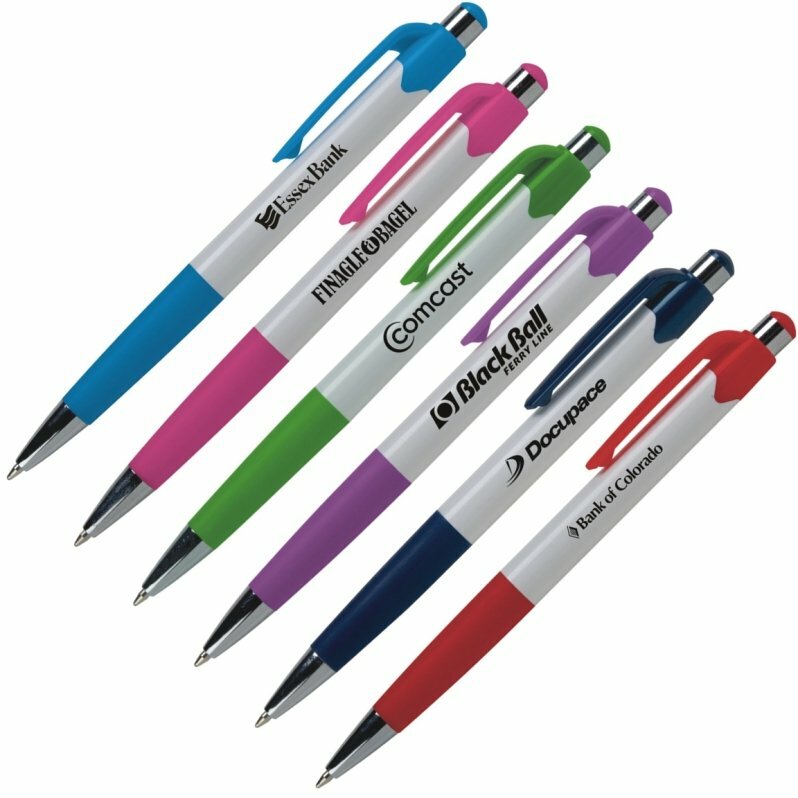 This cheap promotional pen available with blue or black ink. Purple, Navy Blue, Red all pens w/ Chrome nose cones. Normal delivery from date of pen order is 2 to 3 weeks. Price includes a one color print on barrel area 1 7/8" w x 1/2" h.
add a setup of $16.00 and running charge of $.16 each unit. Free factory email electronic proof w/ 1000 unit firm order. Orders 500 to 999 units add $10 for factory email proof. Logo require Illustrator ai, eps or pdf factory ready art.